Internet has many uses. One of most popular use of internet is social networking. And when it comes to social networking, Facebook is the king of the hill. Facebook is the largest social networking site on the internet. It is the place for getting in touch with public. But there are a lot of settings and options on Facebook, due to which the users might get confused. Facebook well manner Help Center where they provide almost every solution to user problem. But somehow normal user got confused due to huge data. We already shared some useful Facebook tricks and hacks. So today we will discuss another problem which we faced while changing username. 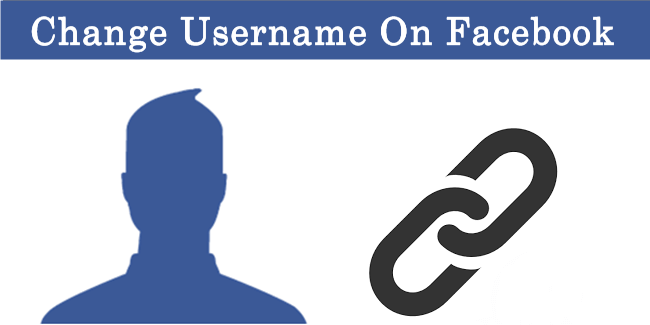 Many people do not know much about username and how to change username on Facebook. A username is a dedicated string of characters that you can use as URL to reach your profile/page. For example http://www.facebook.com/username .There may be some causes due to which a user might need to change username of Facebook page or profile. How To Change Username On Facebook. Steps To Change Username Of Facebook Profile. Recently faceook have updated this funtionality. This 2016 facebook only allow to change username twice but now we can change profile username unlimited time without any worry. Step 1.Log in to Facebook on a desktop with the account you want to change username of. Step 2.Head to your profile settings and there is 2nd option for username in general settings. Step 3.Click on“Edit”option adjacent to username. Step 4.Enter the new username and click on save changes. How To Change Username Of Facebook Page. If you are looking for a way to change the username of your page on Facebook, follow the steps below. Step 1.Log into your Facebook account and open the page on a desktop. Step 2.Click“About”on the left side of your Page. Step 3.Click Page Info and then Click to edit the Username section.